The Government has published a response to the online petition that opposes the proposals to change the amount of tax relief on buy to let mortgages announced by the Chancellor, George Osborne, in the post election summer budget. From April 2017 onwards landlords will only be able to claim the basic rate tax relief rather than the higher rate tax relief on buy to let mortgage payments. It is widely feared that the move will severely affect the profitability of the private rented sector (PRS). The online petition to reverse the planned tax restrictions on individual landlords has attracted more than 23,600 signatures since being posted. The forces that brought about the financial turmoil and economic mess around the world are still present and the majority of developed nations are not going to be able to figure out a quick solution…and sometimes the proposed plans for economic recovery don’t look all that promising. The media keep spreading doom and gloom with daily news reports and depressing financial statistics, but is it the real, true, honest picture? 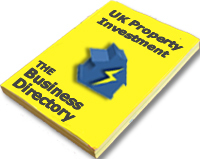 Property investors have been forced to use creative strategies, since the property crash in 2007/8, in order to profit from property as banks stopped lending, investment mortgages were withdrawn and access to alternative finance dried up. Investor attitudes were labelled as falsely positive by many sceptics but the determination remained and only those with a firm belief, sound finances and solid investment strategies continued to prosper. However, a renewed optimism has swept the nation following an uplifting and inspirational summer of achievement, with Queen Elizabeth II’s Diamond Jubilee, the European football championships, the 2012 London Olympics and Paralympics taking place and the effort and determination to succeed demonstrated by Team GB and athletes from around the world. There is renewed hope emerging from the shadow of the last 4 years and a sense of purpose has returned to the UK Buy-To-Let market. In recent weeks there has been a dramatic change in attitude towards UK property investment, despite the Bank of England’s quantitive easing policy and the raft of Government welfare reforms, banks are beginning to lend again, (although they are being quite selective at present). There has been an increase in the number of Buy-To-Let mortgage products hitting the market and property investment in the UK is up! Even speculative investors are attempting to get in on the action, without any real idea of what they are doing. 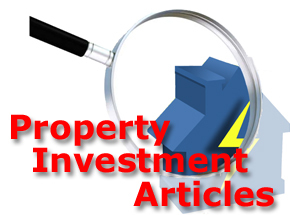 They realise that there is profit in property and their intention is to replicate the strategies of successful investors as property bargains abound. How will you cover future wants and needs? You know; University education for the children, your own retirement and life in general! Can you hedge your own greatest financial asset – your job – and be assured it will always be there? Will your salary grow substantially over time? Can owning property replace your current income? Is financial freedom really your goal? These are questions millions of ordinary people, not investing in property, are asking, but the institutional answers are not really that clear or reassuring. Savvy property investors have already planned their investment strategies and have allowed for contingencies and have an exit strategy in place BEFORE spending a single penny. If the current economic state is going to become the new normal, it doesn’t matter for property investors who have invested in themselves and have learned to earn! Successful property investors realise that the only economy to be concerned about is their own and they are the ones that will always come out on top. Investors are finding ways of protecting and even growing their incomes, assets and plans for the future despite the fragility of global economies, including developing properties into HMO’s (Houses of Multiple Occupation), aquiring expert knowledge on Government proposals for welfare reforms including how to get LHA and Housing beneft payments for tenants direct from local authorities and seeking educational courses or investment forums with successful property investors who run workshops to help property investors.